As my earlier message to you attests, I’ve been a vagabond since moving to Tennessee. All told, I’ve stayed at six different places in 2015. Each home has looked after me like a king — a testament to this community’s hospitality — but after four months of living from a suitcase, I desperately wanted to settle. I arrived back in Nashville in time to celebrate the new year, with only a few days to line a new place up. My current room was already rented out from the start of January and though the new housemate wasn’t pushing me out the door — far from it, actually — I was staying at his expense, in his room, while he slept on the couch. On January 2nd I made a plea for the insanity to stop, and crowdsourced advice on Facebook on where to live. A friend at school, Aaron Early, saw my plight and after consulting with his wife, Jessie, they offered their guest room to me. 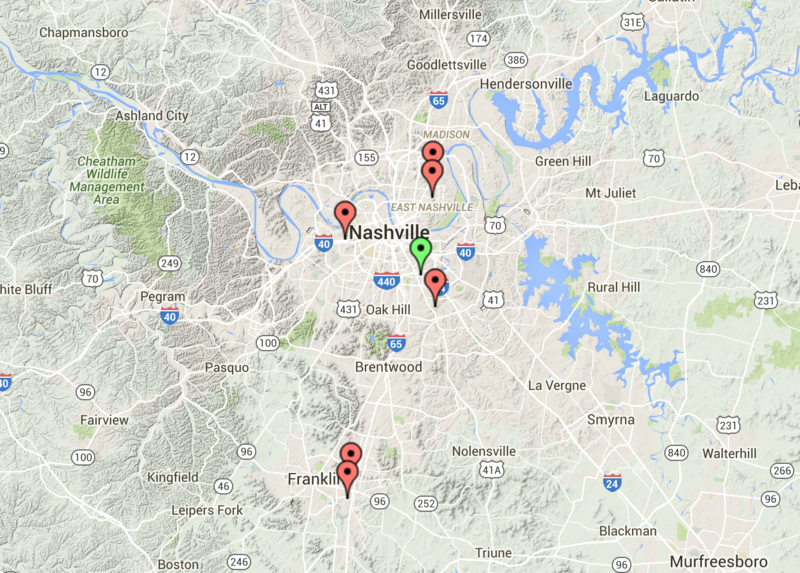 So, this new place, my seventh home in Nashville, has met every criteria I set for it. It achieved every item on my list, and two out of three on the bonus list. I could hardly believe my luck. I actually don’t. This one’s on God. So what’s the best part? Is it that my rent is drastically lower than I budgeted? Or that rent is inclusive of utilities? Or that Jessie & Aaron are two of the most brilliant and loving people I know here? Perhaps it could be the glorious natural light my room has? Nope, nope, nope. The best part is Cash, a Jack Russell-type dog, who is full of playful affection. Anyone who knows me knows I miss my dog, Shadow, pretty much every day. Cash is a lifeline to sanity. The only downside is his propensity to enthusiastically communicate love with his tongue.